Historical sights of Melbourne and Flying visit to the Yarra Valley! Patricia was awesome, we could not have asked for nicer person to show us around. She was very knowledgeable and the entire day went like clockwork! Thank you. TOUR GUIDE RESPONSE: Thank you for your lovely review. It was great to meet you and show off our wonderful city. I hope you enjoyed the rest of your cruise! Patricia provided us a super tour of Melbourne visiting places we wouldn't have found. She is an excellent ambassador for Melbourne and Australia. We enjoyed talking about life in Australia besides the interesting and outstanding tour. If you enjoy walking she is the perfect guide. TOUR GUIDE RESPONSE: Thank you Tom for this awesome review, it certainly is a pleasure showing off our beautiful city. I hope you enjoyed the rest of your cruise. We had a great day. Patricia put together a custom-tailored tour for us to cover the highlights of Melbourne in the limited time we had there. It was thorough, comprehensive, and exactly all we hoped it would be. Her love for her City showed in every word she uttered and we now understand why Melbourne has consistently topped the list of the greatest places in the world to live. Great job, Patricia. TOUR GUIDE RESPONSE: Thank you Joe for this fabulous review. It certainly is not hard to show off our beautiful city. I hope you enjoyed the rest of your stay in Australia! We had a delightful day with Patricia on the Mornington peninsula. she took us to a few wineries, lovely viewpoints, a delicious lunch, and threw some pretty little coastal towns. She had lots of information to share and did our best to care for our interests. We heartily recommend her. TOUR GUIDE RESPONSE: Thanks Jeanne for your fabulous review. I certainly enjoyed showing you the wonderful Mornington Peninsula, it is a little gem here in Victoria. Could I be so cheeky to also ask you to review the city walking tour I guided you on... not to mention the fabulous rainstorm. Thanks again, it was great spending two days with you both - it was a lot of fun. TOUR GUIDE RESPONSE: Thank you for your lovely review - it was a wonderful day, I thoroughly enjoyed meeting you both and showing off our beautiful city. Enjoy the rest of the cruise - the weather is looking good. We were lucky enough to have Patricia a second time for the great Ocean Road tour. By this time we were good friends and enjoyed each other's company. She ordered a perfect weather experience along with fantastic stops along the ocean road. We even got to see kangaroos on a golf course! I would highly recommend Patricia as a guide any time. TOUR GUIDE RESPONSE: Thank you for this awesome review - I had a fantastic time showing off the Great Ocean Road and so happy the kangaroos made an appearance. I hope you are all having a wonderful time in the Red Centre, the Great Barrier Reef and Sydney - hopefully you have seen a Koala. Patricia was a wonderful Guide for our all day birthday celebration for my husband on September 24. We went to two wineries, had a wonderful hike and a lovely lunch that day. We also saw the Penguins and Patricia provided us with a lovely picnic supper before our way back to Melbourne. She was A great driver, flexible and very knowledgeable as we bombarded here with all kinds of questions about Australia. TOUR GUIDE RESPONSE: Thank you Lois for this wonderful review. It certainly was fabulous day, I had a great time hosting you all and showing you wonderful Phillip Island. Patricia is a knowledgeable, friendly, adaptable guide who gave us a great introduction to Melbourne. With her skilled driving, we were able to visit areas that would have been more challenging with public transport or a tour bus— from the waterfront suburb to the remembrance memorial. Walking, we were able to visit the Federation Square, have a delightful seafood lunch, and stroll along the riverfront. We heard the backstories of laneways, saw fabulous interiors, and walked shopping corridors. Great! Our tour of the Yarra Valley outside of Melbourne with Patricia was amazing! She took us to fabulous winery's and treated us to a delicious lunch at one of the winery's. We give Patricia our highest endorsement! TOUR GUIDE RESPONSE: Thank you for your wonderful review, it is not hard to show off our wonderful food-hub. Our half day tour of Melbourne was fabulous! Patricia is very professional, helpful, kind and knowledgeable. We give her our highest endorsement! TOUR GUIDE RESPONSE: Thank you Carolyn for your fabulous review. TOUR GUIDE RESPONSE: Thank you for your five star review! Patricia is the consummate professional. Outstanding tour with a terrific pace. Very responsive to our special request. Most informative guide. TOUR GUIDE RESPONSE: HI Nancy and Clarence Thank you for your awesome comments and the 5 star rating. I thoroughly enjoyed meeting you both and showing off some of our best sights in Melbourne and surrounds. Enjoy the rest of your holiday. All the best. Our group of 4 completely enjoyed our 3-4 hour walking tour of the history and architecture of Melbourne. We would give this experience the maximum of stars. Would recommend this to anyone visiting Melbourne especially for the first time. TOUR GUIDE RESPONSE: Thank you very much for your awesome review. There is so much to see in Melbourne. I hope you enjoyed the rest of your time in Melbourne. Enjoy the rest of your trip in Australia. Patricia was outstanding. She was waiting on us when we departed our cruise ship in Melbourne. She had great insight and details about the areas we visited on our way to the Twelve Apostles. What a day we had! The tour was a once in a lifetime experience. To top off a great morning, Patricia had prepared lunch (really prepared it) and had a great red and white wines to compliment our meal. Our group of six was thrilled with the entire experience. Fabulous tour and the best tour guide. Knowledgeable and enthusiastic . Recommend her highly . She loves her country and city and is quite evident in her delivery of information. I learned more from her on my three days than any other guide that I have had. TOUR GUIDE RESPONSE: Thank you very much for this fabulous review. I thoroughly enjoyed my time with you, I had a lot of fun. Have done many more trips to the Great Ocean Road and always remember your comment "The Great Wall of China." Thank you, I hope to see you sometime in Australia again. What an unbelievable day. The drive, wine tasting , gourmet lunch plus having the knowledge of Patricia. One couldn't ask for more. Patricia's passion for Australia, food, history, and wine make her the perfect guide for Melbourne and the surrounding areas. She is fun as well. If one has a limited time for a visit, use Patricia. She knows her way around, is totally prepared, and her knowledge is beyond comphrension. An A++++ tour. Patricia was a fabulous guide for the city of Melbourne. Part of the tour is driving around for a quick overview then on foot to personally see and get the heart beat of the city. Her knowledge about architecture, people, history is overwhelming. The time spent on foot was most helpful seeing things up close and seeing how each building helped develope Melbourne. She has a plethora of knowledge about the city as well as the enthusiasm to go with it. Highly recommend her. TOUR GUIDE RESPONSE: Thank you so much for your fantastic review. 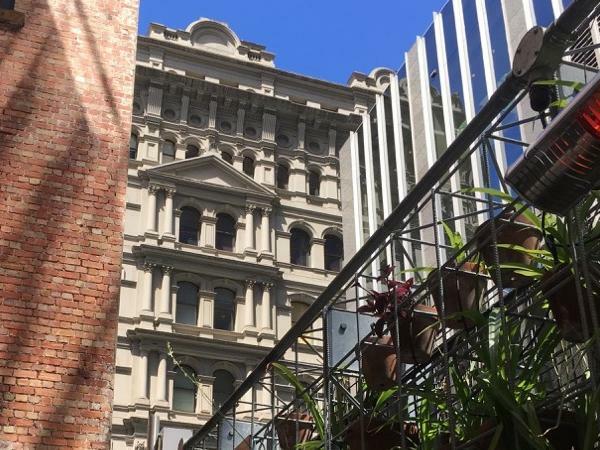 Melburnians are so pleased that we have retained some of our beautiful old buildings and have a small history to pass on to our clients. It is a beautiful city. It is always fun to take a walk through our city and show it off. Patricia was so interesting and provided a lot of education about the area and wines. She is an expert in her field and provided us with a great day. Going the extra mile, she even found a shop where I could buy knitting needles! TOUR GUIDE RESPONSE: Thank you Linda for your positive review. I thoroughly enjoyed hosting both of you, it was wonderful. Thank you for your referral to the Noordam. Patricia is wonderful. She has provided us with great overview of every site we visited. The entire trip was very enjoyable and memorable. I would strongly recommend Patricia to anyone who needs a private guide. TOUR GUIDE RESPONSE: Thank you for the wonderful review. I certainly enjoyed both your company and our fabulous conversations. It was an absolute pleasure. I wish you and your daughter all the best with your transition into South Australia. I shall keep in touch. Patricia did a great job! She knows her way around Melbourne and made sure we saw all of the most important sights. She has an immaculately clean and very comfortable vehicle with great air conditioning, and that makes a difference when you are in and out of a van all day. Highly recommend. TOUR GUIDE RESPONSE: Thank you for your lovely review. Melbourne is such a beautiful city, which makes it easy to showcase. Being summer, Melbourne was at its best. I hope you enjoyed the rest of your cruise. Patricia was incredibly knowledgeable about the region and the specific wineries, breweries and cideries we visited. Our day out together was a great introduction to the Yarra Valley. Thank you! TOUR GUIDE RESPONSE: Thank you Teresa for your wonderful feedback. I thoroughly enjoyed the day, and am proud to show off our wonderful Yarra Valley. We hope you had a wonderful time for the rest of your stay in Australia. Patricia was Awesome . Right on the top of her game. Everything was perfect. We made some changes and she adjusted for us. A perfect day. TOUR GUIDE RESPONSE: Thank you Linda for your comments. It was an absolute pleasure hosting you all - a perfect day for a guide. My family had a long list of "must dos" during our day in Melbourne which happened to fall on a holiday. Although holidays can be a challenge, Patricia accommodated our list with ease and organized a relaxed and wonderful day. Her passion for the city, its history, architecture, nature, food and wine were a welcoming surprise. She enchanted us with Melbourne's history and left us feeling as though we had lived it ourselves. We couldn't have been happier with the day and felt we left no stone unturned. TOUR GUIDE RESPONSE: Thank you Michelle, have just picked up the feedback. It was a wonderful day, we enjoyed hosting you. We have another tour booked for 21 May with four guests from the US - we are taking them to the Mornington Peninsula and looking forward to hosting them.